Caroline shares her creative energy, varied retail and optical experiences with us. She has apprenticed with knowledgeable eye care professionals throughout her career and has received thorough training from the Ophthalmic Design & Dispensing Program at Middlesex Community College, earning her certification from the American Board of Opticianry in 2011. 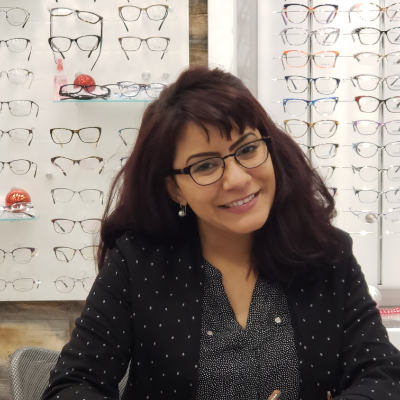 She maintains ambassador status with the Connecticut Opticians Association and enjoys staying up to date with industry trends while attending conferences, expos and events.